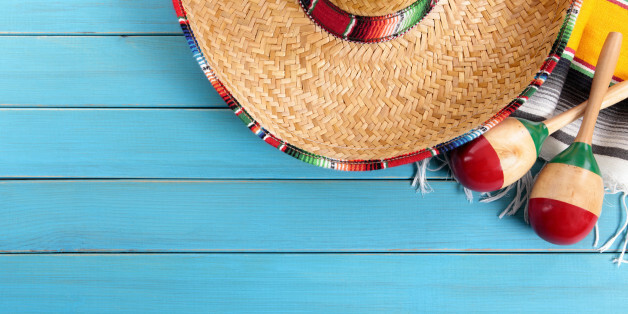 Cinco de Mayo is an important Mexican holiday, so let's not reduce it to an excuse to drink while wearing a sombrero. More than half of the country voted for Donald Trump. This makes me feel unsafe. As unsafe as I felt on September 12, 2001. She is equal parts kitsch and social commentary, her music -- produced with drummer Zander Kagle -- deftly toggling between undeniable rump-shaking rhythms and scathing swipes at what it's like to be a woman in the world, musically and otherwise. Cristina Martinez and Benjamin Miller are the owners of South Philly Barbacoa, which serves Mexican food with a side of social justice. Are Donald Trump & Cleveland Mayor Frank Jackson Strange Bedfellows on Immigration? The only problem with this narrative about Cleveland really embracing immigrants, all immigrants (not just refugees), and joining the immigrant-friendly city movement found in nearby rust belt cities, is that it's false. For months, I have endured the television coverage of Donald Trump. And for months, I have gritted my teeth and dared to look at the screen, partly because, as a diehard Democrat, I feel the need to be informed, and partly because I want to make sure I'm actually hearing what I think I'm hearing. When in the past have you ever heard the term "unendorse" used? We haven't checked, but we believe it just got coined and added to the political lexicon. "A guy who does reality shows can’t lead a country." Looking to celebrate Cinco de Mayo like a true Mexican? Well that won't happen because they don't celebrate the holiday in Mexico. While it does reference historic events, it's a day North Americans have re-appropriated so they could throw "fiestas" with salsa, sombreros, and margaritas. Get a homemade, fresh-tasting meal on the table without having to chop 15 different ingredients, or dirty a bunch of pots and pans. Transform taco night with these toppings and proteins -- plus, a supermarket condiment you've probably never dreamed of putting on Mexican food. Is Speedy Gonzales A Mexican Hero Or A Stereotype In Cartoon Form? My own immigration journey has a happy ending. For the rest of us, however, we spend so much time disproving the image that doesn't represent us -- that of the Central American woman or child -- that we are left with no time to tell our own story. When he threatens to punch protestors or alludes to riots if the Republican Party does not coronate him, he is using the playbook of bullies. And when his supporters beat up Mexicans and Muslims, his threat is not protected free speech but akin to yelling fire in a crowded theatre.